MICKEY HAS GONE TO HIS FOREVER HOME. Elderly Mickey arrived with us due to his owners ill health, a friendly wee guy, good with other dogs and older children. Mickey is grossly overweight and has a couple of health problems; High Blood Pressure and Kidney Disease; he will need medication and a special diet for the rest of his life. His new home MUST have its own garden as he needs to urinate frequently. Mickey is in need of a good groom and has an appointment on Wednesday 4th July but is available to view meantime. 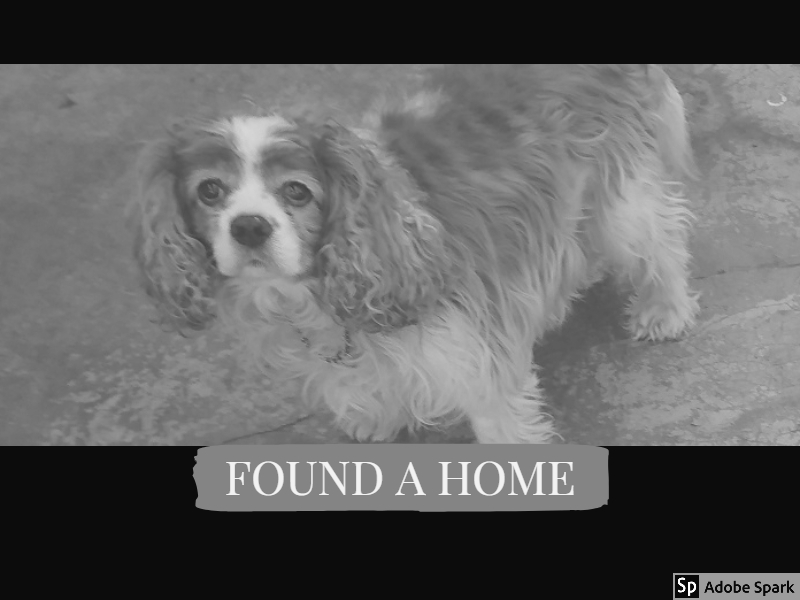 This entry was posted in Found a Home and tagged Adoptdontshop, cav, cavalier, cavalier king charles spaniel, Rescue Dog. Mountain Warehouse Perth supports PADS!